What is a hand fracture? 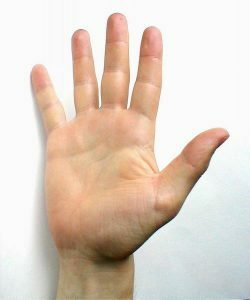 Your hand is made up of over 25 different bones, which all work together to make your hand move as flexibly as it does. In this article, I’ll explain some basic hand anatomy, the different types of hand fractures, and their treatment. The hand is divided up into three different types of bones: the phalanges, the metacarpals, and the carpals. The phalanges make up the fingers, while the metacarpals reside in the meaty part of the hand. Below those are the carpals, which make up the wrist. Hand fractures are limited to the phalanges and metacarpals. These bones are joined by a network of ligaments and supported by muscles and tendons. These different parts allow the hand to move with great dexterity. When a bone is injured, therefore, it can cause the entire hand to malfunction. 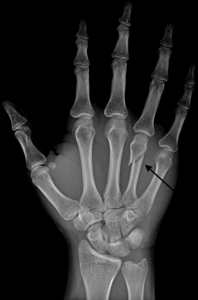 How do hand fractures happen? Hand fractures (which are the same as a broken hand) can result from things such as contact sports, or anything that puts enough pressure on the bones of the hand to break it. For instance, you might sustain a fracture after slamming your hand in a door, punching a punching bag too hard, or trying to break a fall with your hand. If a break occurs in the carpal bones, it is considered a wrist fracture, not a hand fracture, even though many people count the carpal bones as part of the hand. A fracture is considered to be a compound fracture if the bone breaks through the skin of the hand. 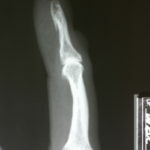 This is also called an open fracture. How do I know if I’ve fractured my hand? If there are no visible signs or obvious deformities, look for pain and/or stiffness in the finger, an inability to move the finger, swelling, and tenderness. These are all signs that you may have fractured your hand. Your doctor will conduct a physical examination, possibly including range of motion tests and an assessment of feeling in the fingers. 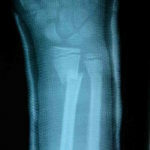 After this, you will be sent to get an x-ray to determine the location and extent of the fracture. If surgery is deemed necessary, these x-rays allow the surgeon to prepare for surgery. Most of the time, hand fractures can be treated without surgery. If the bone has not been displaced, it can be held in place with a cast or splint. 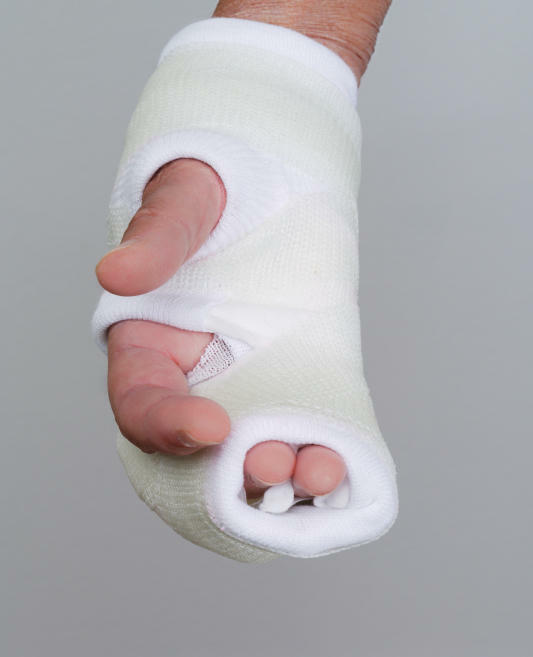 In some cases, even a displaced bone can be set in place without invasive surgery and held with a cast, splint, or brace. In this case, another set of x-rays will have to be taken a week or so later to make sure the bones have stayed in place. Other fractures may require surgery in order to set the bones. This is often the case after a crushing injury (e.g. slamming your hand in a door), or a fracture where the bone has pushed through the skin. These surgeries generally use pins, wires, and plates to set and hold the bones in place. In cases where the bone itself has been crushed to the point of no return or is missing, a bone graft from another area of the body may be necessary. Sometimes bone graft substitutes are used instead of a bone graft from another area. If the hand was put in a cast, the cast should be removed after a few weeks. If the bone has changed place during the healing process, that area of the hand may function differently than before. For instance, one finger may cross over another slightly where it didn’t before. After surgery, a bump over the fracture may appear, called a “fracture callus.” These are normal, and will get smaller with time. A while after treatment for the fracture, you may be asked to do some hand strengthening exercises to regain full strength and mobility. I broke my hand on a slide and was sure I would need surgery. Dr. Henley took the least invasive approach and let my hand heal on its own. No surgery, no cast! And I could use my hand while protecting it. Like he predicted, the hand is great now and I haven’t had to miss swimming with my kids this summer, etc. It is great to find a doctor who leaves well enough alone when the case calls for it.